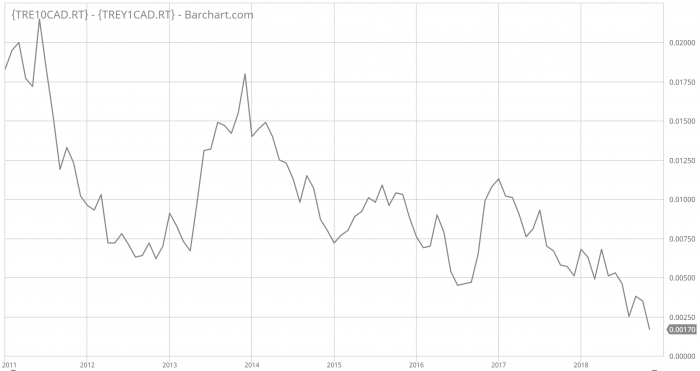 Bank of Canada: Steady as She Goes? Fears of a slowing economy take rate hikes off the table, and such concerns definitely took a hike off the table today. Canada’s main rate setter, the Bank of Canada, did what most predicted and left rates as-is at this morning’s rate meeting. But the outlook did change. The Spy’s Take: Prime rate should stay put for at least the next 1-2 rate meetings, if you believe traders (who, before today’s meeting, weren’t fully pricing in a rate hike until April). Moreover, it’s unlikely the Bank of Canada will “out-hike” the Fed from this point on. Our economy simply isn’t as robust as our southern neighbour’s (more on that from CIBC). 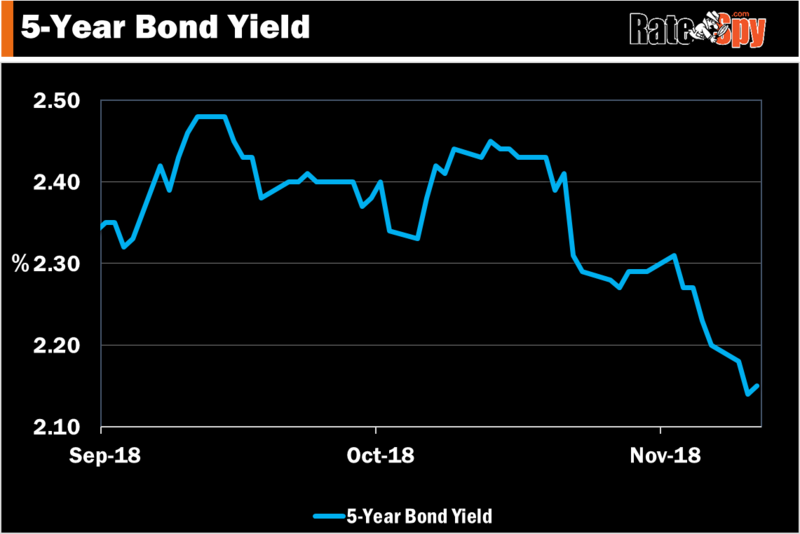 The Fed Funds rate is just three hikes away from the U.S. 10-year yield, and it would take unexpectedly worrisome inflation data to push it much above that yield. 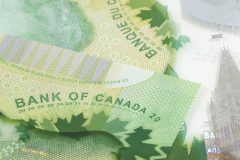 The Fed’s policy influence on the Bank of Canada cannot be overstated. As for Governor Poloz, he can talk tough on rate hikes, suggesting a slow climb back to “neutral,” but bond traders (who price in all available market information) are starting not to believe him. Well, good news if you’re rooting for fewer rate hikes. 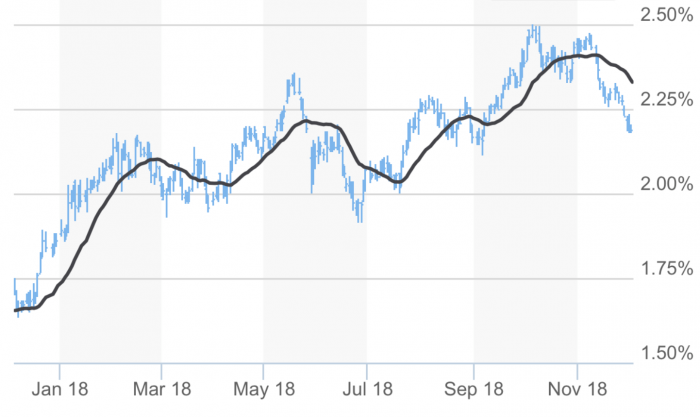 Take a look at the yield curve, a reasonably predictive indicator. Bond guru Jeff Gundlach told Reuters that the yield curve from the 2-5 year maturities suggests “total bond market disbelief” in continued Fed rate hikes through 2019. And the message from Canadian yields isn’t much different (as this chart shows). Why does this matter? Simply because every recession of the past 60 years has been preceded by an inverted yield curve. And even though this time may be (somewhat) different, the market is betting on the historical percentages—not unlike a baseball team that shifts its defence to the side of the field where the batter hits the most. Oh, and in case you missed it, Alberta has forced oil producers to reduce production. That helped slash the discount that Canadian oil trades below the North American benchmark (WTI Oil). This short-term move will do little to drum up capital investment in the oil patch, which Canada’s economy depends on. In fact, CIBC says “production cuts…will take two ticks off annualized real GDP growth in each of Q4 and Q1.” The BoC adds: “Canada’s energy sector will likely be materially weaker than expected.” Mortgage rate impact: Net bearish short- and medium-term. Economy-wide, there’s no threat from wage inflation, and GDP growth has been near zero over the most recent two months. You may have noticed that five-year government yields are rolling over. They’re now down 37 basis points since last month’s high. Normally we’d have seen at least one bank chop advertised fixed rates by now. But not this time. Banks are purposely padding margins. Mortgage profitability has been “horrendous” this year, said one major lender we spoke with today, who preferred not to be named. Until recently, 5-year mortgage spreads (the difference between advertised 5-year fixed rates and the government 5-year yield) was as low as 135 basis points. “The industry would like to see spreads at least 10-15 bps higher,” this lender executive told us. We’re near the lowest volume time of the year and banks always anticipate that. Lenders aren’t desperately fighting for market share right now because getting more deals in December “won’t move the needle.” Cutting rates quickly would just drive down pricing industry-wide and then banks (who directly or indirectly fund over 4 in 5 mortgages in this country) would be left with lower volumes and lower margins. On top of this, banks are increasingly building in small premiums to offset the policy/rate-driven slowdown in housing/mortgage growth, late-cycle housing/economic risk, and more stringent capital rules. We’ve seen all this before and we’ll see it again. But ultimately (if yields stay this low or lower) the bond market will win—so long as nationwide credit concerns don’t arise. All it takes is one or two big banks to break ranks on rates to bring down the rest.